Given that the long term plan seems to be to unify our foreign player quotas with the rest of Asia, I can’t see us going for any more than the current 5. I don’t disagree. But I would expect that at least the new clubs would get an additional visa spot. Yeah I have no issue with an extra Visa spot for the new clubs for a season or 2. I can’t see there being any issues with the AFC either because we’ve done it previously and for clubs qualifying for the ACL they still have to make a call as to which foreign players they pick for the tourney. $13 million for a license fee seems steep. A minimum licence fee of approximately $13 million has been required of each bid to cover the operating costs of an A-League club over the next four years – the period of the current TV rights deal – and ensure existing clubs won’t have their annual grants reduced. Canberra winning would be a great way to winner over some jaded fans, that’s for sure. It seems most fans are really supportive of them. Also, Heather Reid, the newly elected deputy chair to the FFA board is the CEO of Capital Football and has long been heavily involved in football in the ACT. If it weren’t for her, there would be no Canberra United in the W-League. I’m sure she’ll be doing her best to influence the decision to have Canberra included. 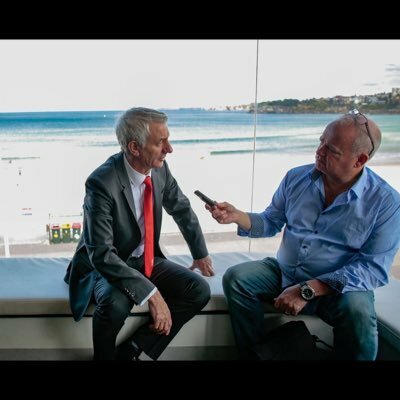 Has there been any confirmation that, should the Canberra bid be accepted, it would be associated with the W-League’s Canberra United? It comes as new FFA deputy chair Heather Reid pushes for a full W-League home-and-away season next summer. I would say just getting Expansion over the line for next season with any 2 clubs would be seen as a big positive from fans. I wonder if this speculation prove true, that Canberra and a Melb franchise get the nod whether there may be a possibility that 2 others also get the nod? Instead of 2 new teams, the League goes to 14, one of the Sydney Bids and another? Yeah I think this scenario is the absolute best we can hope for. I think that makes the most sense. Would allow for the second two to engage with the community and build a brand well before they enter the league. Is it possible 3 could get announced and that Wellington will be going? two for next year and two for the year after. The pool will be slightly smaller for the last two teams, however an extra year of scouting planning and approaching players will do them good. The first two will have to make sure they get their crap sorted asap as they won’t have much time to plan once the announcement goes through. Apparently it may go through in January now?